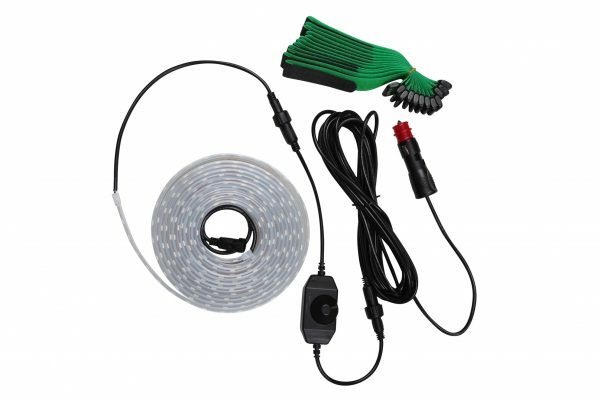 A complete lighting design kit featuring a flexible all-weather strip of LED lights, 12V plug and fasteners. Want to share your instagrams of you with your 12v 5m LED Multi-Colour Strip Light Kit? Use the #multicolourledstrip hash tag.